How do Inuit cope without fresh vegetables and vitamin C? This is a great question because obviously, there isn't really a lot of fresh fruit up in the Arctic. In fact, there is a lot of evidence to suggest that the traditional Inuit diet does have vitamin C in it. It's not as much as you would get with a diet that's very rich in fruit and vegetables, but clearly, it's enough to keep them healthy because the Inuit are healthy. They're not affected by scurvy. One of the theories is that it's actually the raw meat and fish, the main component of their diet, which does have a significant amount of Vitamin C in. The Inuit living on fresh raw meat and fresh raw fish would actually manage to get enough vitamin C, and particularly, there's a lovely traditional Inuit staple called muktuk which is the skin of the beluga whale, and this has a lot of vitamin C in it. Also, the organs of sea mammals and, apparently, the stomach contents of caribou, though I'm not sure they would actually eat that - maybe they just fed it to the dogs! There has been quite a lot of research looking at traditional Inuit populations and their diet and there clearly is enough vitamin C when you analyse their traditional food sources. The problem comes when people are moving away from their traditional food sources and not getting enough fresh fruit and vegetables in return. I found a lovely paper from 1975 which does show that there is some evidence of vitamin C deficiency in the Inuit population. That may be some affect of their diet, but overall, because there isn't widespread scurvy, we have to assume that they are getting enough vitamin C from their traditional diet. Previous How much of me is the original me? Next Has all the air in the world been breathed before? 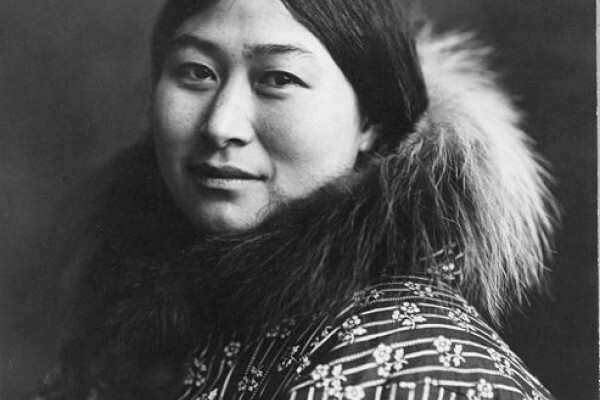 Why are Inuit people dark skinned? Why are native African people black? Are high doses of vitamin C useful? SC hit on it above but his answer may be lost on some comment skimmers. Glucose competes with vitamin C in the body. So if you were to eat, say, a citrus fruit, you make use of far less of the vitamin c even though its a mega dose. ultra low carb diet you will need far less vitamin c. They get some vitamin c in the raw meats, probably more in the organ meats/liver. I think it's enough to sustain them since they have an almost zero carb diet. In addition to that I believe because their diet was fairly well rounded as far as all the other micro-nutrients and minerals goes, their body is probably functioning pretty optimally. The body is pretty good at dealing with single issues when every other thing is going well. I would imagine a slightly low vitamin c intake is probably less of a problem for someone who is otherwise getting every other thing they need to thrive. Just a theory though. I'm intrigued by the claim that "Glucose competes with vitamin C in the body." How does it? And what is the evidence for this claim? Can you please point me to a suitable reference that supports, and proves, this statement. Study some biology, particularly cellular respiration. The biology that is in every textbook is based on a glucogenic diet (glucose as the primary fuel source). However, our bodies can also run on ketones, a by-product of fat burning. The body functions differently when ketones are the fuel source. The Inuit eat no carbohydrates, so are being fueled by ketones. When your body is fueled by ketones you don't need nearly as much vitamin C as you would when consuming a glucose heavy diet. A specific transport protein in our cells can allow both glucose and vitamin C into the cell. The priority is for glucose over vit C, so more C is needed to be consumed to ensure sufficient quantities are absorbed. Take glucose out of the equation and now your cells are getting plenty of C with less consumed because the competition is gone. Assuming the Inuit (and other meat-only cultures) were eating at least the liver along with muscle meat, they would get plenty of vitamins, as liver is very dense in nutrients. This question is also relevant to questions around the Paleo diet - how much meat did our hunter-gatherer ancestors eat and are our bodies adapted to an all meat diet. Some researchers argue that we are not adapted to an all meat diet because we cannot produce our own vitamin C, and hence need to get it from plant based food sources. However, wouldn't it make sense to simply say that wild animals obtain vitamin C from eating plants, so if we eat the animals we get the vitamin C by eating their muscle and organ tissue? Furthermore, if the animal is eaten shortly after being killed the vitamin C would not have time to decay and should definitely still be in the flesh. Hunter-gatherers must have eaten the animals they killed fresh because they they obviously didn't have refrigeration, and I would think other forms of meat preservation, such as salting and drying, were only performed during periods of scarcity of game due to the labor involved. Canines manufacture their own vitamin C. The fact the writer didn't know this calls into question everything written. Please research before writing. We are sorry that the humour was lost on you. The answer is otherwise quite accurate.